For many companies, ‘doing the right thing’ is not enough to persuade them to take an ethical, sustainable approach to business. But they will surely be convinced by new evidence that a sustainable approach to business can improve their share price. A fund which invested in 300 companies who committed to supporting the United Nations’ Sustainable Development Goals outperformed every other major index in 2017. 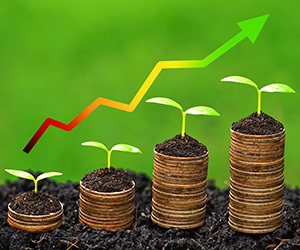 An investment fund of companies which backed the UN’s Sustainable Development Goals (SDGs) outperformed every other major index in 2017, according to a new report. The UN Global Sustainability Index Institute (UNGSII) analysed the annual reports and public statements of 400 of the world’s largest companies. From those, they chose 300 firms who disclosed a commitment to the SDGs, then set up a fund to invest in them. Last year, in only the fund’s first year of operation, it gave an impressive return of 27.63 percent. This outperformed all other major indexes—the Dow Jones returned 24.39 percent, while Standard & Poor’s returned 19.42 percent. Although rising numbers of businesses are committing to supporting the SDGs, the UNGSII’s research shows that it is still relatively rare. Of the 400 major companies they analysed, only 6 percent are already demonstrating “exceptional commitment” to the SDGs by addressing most of them in their annual reports. Companies in Europe were the most committed, followed by the Asia-Pacific Region, with the Americas and Africa lagging behind. The most common commitment was to support SDG 13 on climate action, followed by SDG 8 on sustainable economic growth and decent work for all, then SDG 12 on sustainable consumption and production. Companies who commit to one or more of the SDGs could gain a business advantage over their competitors. Return on investment is one of many reasons why a company should focus on sustainability and CSR. Customers and investors increasingly want to buy from or invest in firms that meet their ethical expectations. Ethical companies find it easier to recruit staff and to retain and motivate their current workforce. They can build better and more trusted relationships with suppliers and other third parties. They are also less likely to be involved in bribery and corruption, and these types of investigations often carry legal expenses, financial costs, and reputational damage. The list goes on and on—it is harder to think of a reason why companies should not become more sustainable. LexisNexis is part of the RELX Group, which has signed up to support the Sustainable Development Goals.